Injured While Operating Construction Equipment? Construction equipment is usually big, heavy and difficult to operate safely. Designers and manufacturers are required by law to ensure workers using their products are kept reasonably safe from danger. Construction employers share responsibility to ensure proper training and safety. If you have suffered an injury while working on a job site with construction equipment, you may be entitled to seek money damages above and beyond worker’s compensation benefits. 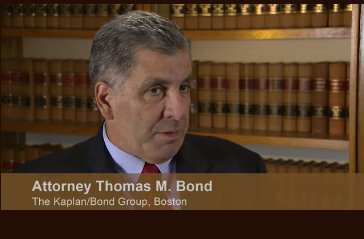 THE KAPLAN/BOND GROUP is a leading personal injury trial law firm that represents injured construction workers in communities throughout Massachusetts. Contact us today. Proper training of personnel and proper maintenance of the equipment and tools involved can help prevent construction accidents. When the training is shirked, the equipment is defective or when the worksite is unsafe, construction sites become dangerous places. As trial lawyers with 30 years of legal experience, we know that the hazards involved are real. We also know how to navigate the complex laws, regulations, standards and contracts towards a path to recovery for the workers upon whom we depend so much. Contact us to discuss your specific construction equipment accident case with one of our trial attorneys. We offer a complimentary consultation to explain the law and help you decide what to do next. Our offices are located in Boston, Massachusetts.